BATTLEFORD, Sask. 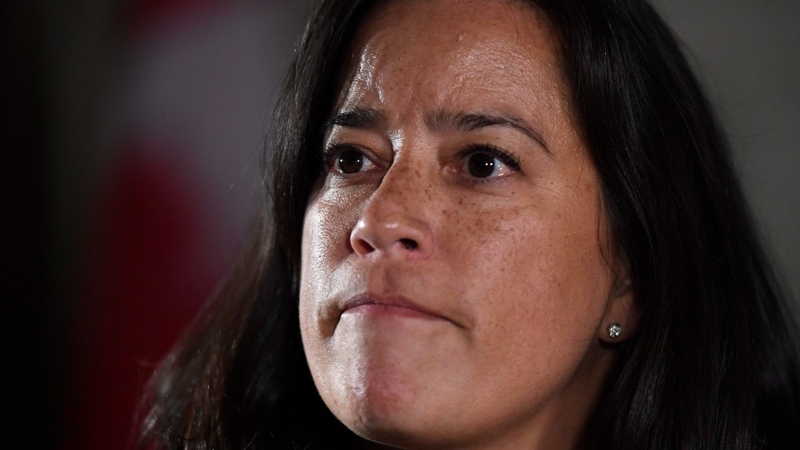 -- The federal justice minister has said the country "can and must do better" after a white farmer was acquitted in the shooting death of a young Indigenous man -- a verdict that sparked a firestorm of criticism from First Nations groups across Canada. Red Pheasant First Nation Chief Clint Wuttunee called the ruling "absolutely perverse." 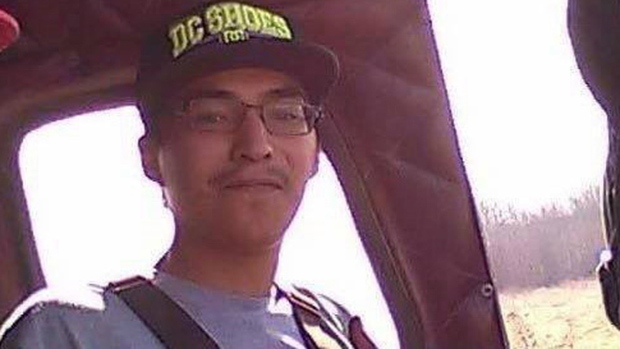 "Colten Boushie was shot in the back of the head at point blank range. Nevertheless an all white jury formed the twisted view of that obvious truth and found Stanley not guilty," he said, adding that the verdict "crushed the spirit" of the community. Justice Minister Jody Wilson-Raybould tweeted her sympathy for Boushie's family, and said she is "committed to working everyday to ensure justice for all Canadians." Boushie's family had previously expressed concern that the deck was stacked against them during the court process. Following the verdict, his uncle Alvin Baptiste called for change. "Something has to be done about this. The government, Justin Trudeau, we ask you to give us Indigenous people justice," Baptiste said. "I'm not going to comment on the process that led us to this point today, but I am going to say we have come to this point as a country far too many times," he said. "Indigenous people across this country are angry, they're heartbroken, and I know Indigenous and non-Indigenous Canadians alike know that we have to do better." Meanwhile, the head of the Federation of Sovereign Indigenous Nations, Chief Bobby Cameron, said that Wilson-Raybould agreed to meet with Boushie's family "to make some serious, positive change to meet the recommendations of the family." Federal Conservative Leader Andrew Scheer called Boushie's death "tragic," but said the independent judicial process must run its course without political intervention. 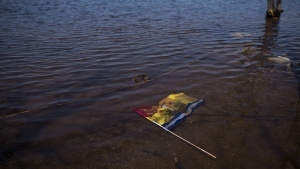 "It's appropriate to show concern and support ΓÇª for the family of the victim, but I think it is important that we remember that politicians don't decide these types of things," Scheer told reporters in Halifax, noting that he didn't know the nature of Wilson-Raybould's meetings. "I would like to acknowledge the pain felt by the Boushie family and all First Nations communities due to the tragic death of Colten Boushie and I understand their deep disappointment following yesterday's decision," Moe said in the statement, which noted he would be speaking to reporters on Monday. Perry Bellegarde, Chief of the Assembly of First Nations, held a news conference on Saturday saying that there needs to be lasting, system-wide change. "We have to call on governments to work with us and develop (an) anti-racism plan and strategy," he said, adding that there should be a complete overhaul of the justice system, which he said is rife with systemic racism. The Indigenous Joint Action Coalition called for a day of action Saturday to show "solidarity and support" for the Boushie and Baptiste family. Rallies were scheduled across the country -- in Battleford, Edmonton, Vancouver, Toronto and on Parliament Hill. Stanley, 56 testified that he fired warning shots to scare the group off. He said the fatal shot occurred when he reached into the SUV to grab the keys out of the ignition and his gun "just went off." There were sobs of despair and cries of "murderer" in the courtroom Friday night when the not guilty verdict was read. 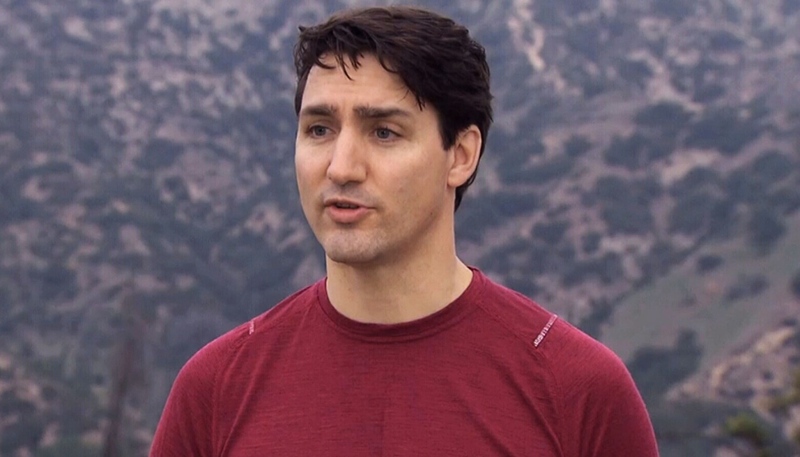 Prime Minister Justin Trudeau speaks to media in California on Saturday, Feb. 10, 2018.